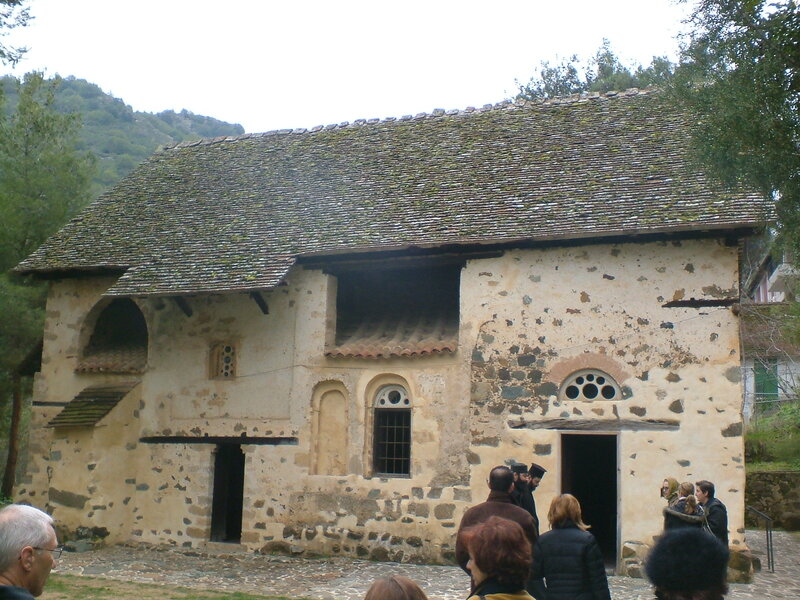 When I lived in Cyprus, I had the opportunity to take a trip to the Troodos Mountains with a group of Orthodox Christians on a guided tour of some of Cyprus’s beautiful churches, led by my friends Frs. Ioannis and Andreas; we were blessed in Fr. 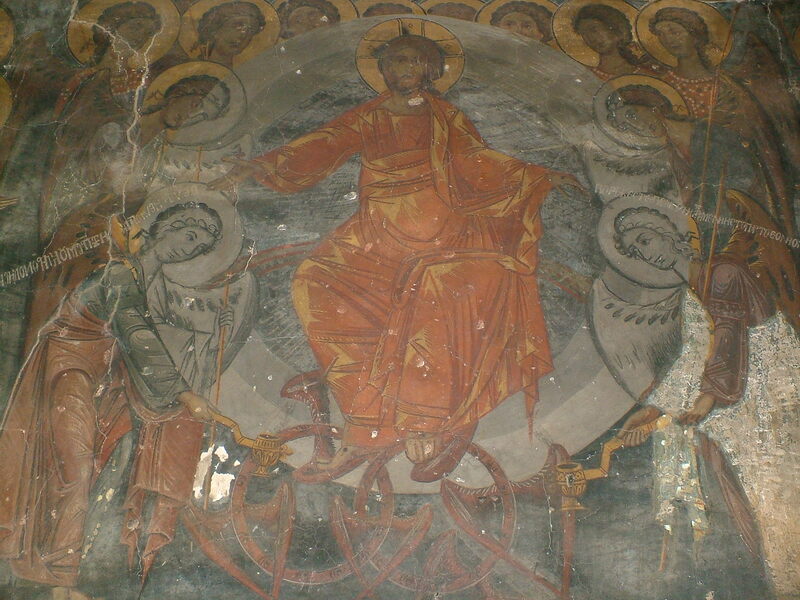 Ioannis’ specialised knowledge as an iconographer and artist in his own right. We saw many wonderful things there, including Panayia Podithou with its peaked roof that hearkened one’s thoughts to more western, northerly climes — but there for the same reason (snow!). This church, the first on our trip, includes a fresco of holy Moses removing his shoes at the Burning Bush (thus comes its name). 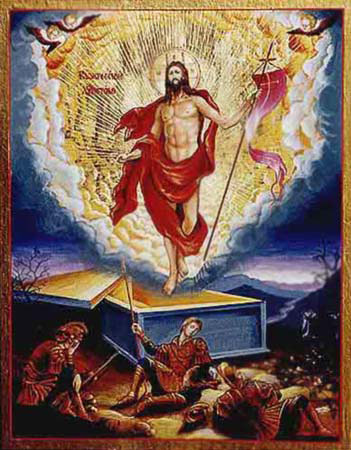 It also has images of Christ giving the twelve apostles the Lord’s Supper. 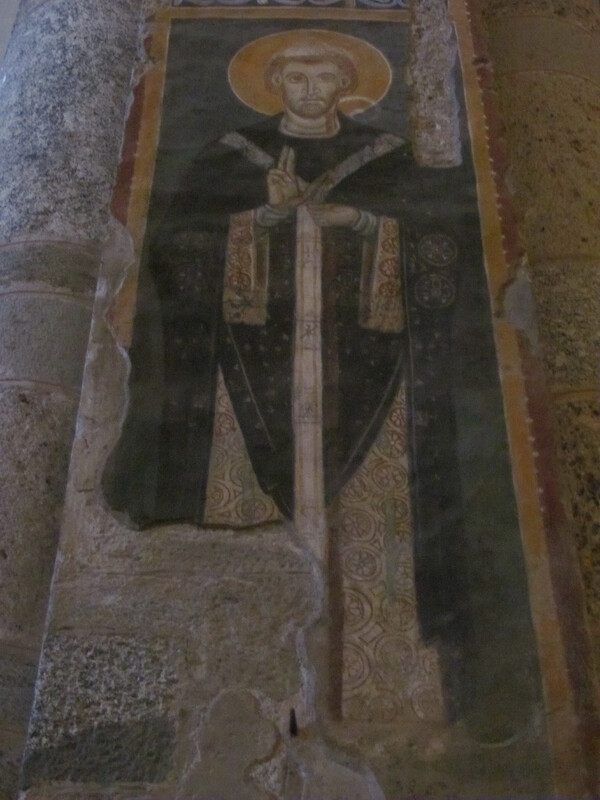 Assembled on the frescoed walls of St. Sozomen’s are a variety of saints, biblical figures, and angels. The place is a riot of colour and a far cry from the simple dark wood of St. Columba’s Free Church of Scotland! The exterior of St. Sozomen’s is notable because it, too, is covered in frescoes. The roof has been constructed so that there is basically a portico surrounding the entire church. Apparently the original ‘Byzantine’-style roof couldn’t handle the snow, so they had to add a peaked roof like the one at Panayia Podithou. Ayios Nikolaos is full of frescoes, on walls, on pillars, everywhere. They are wondrously colourful and more than worth a visit, if you are ever in Cyprus. 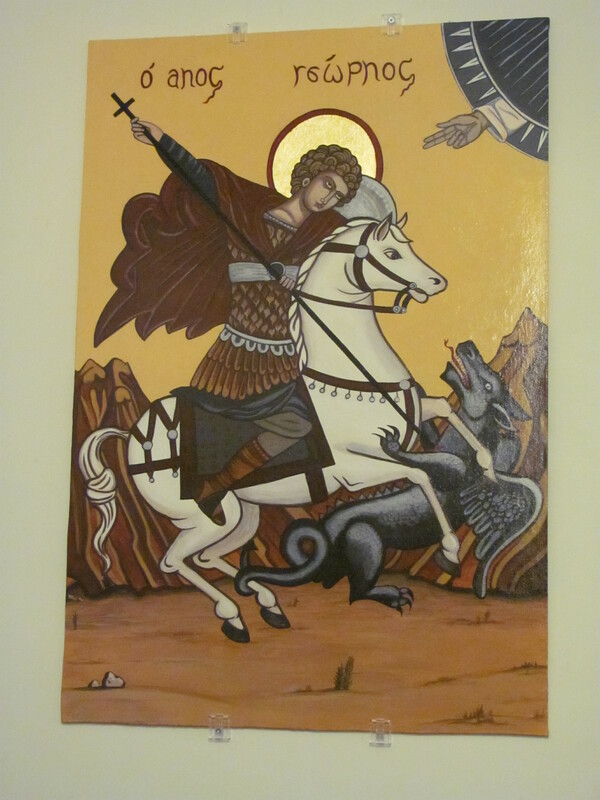 At this church, I first learned of St. Mary of Egypt, the anchoress who lived in the desert so long that her clothing disintegrated; to keep her safe from the sun and maintain modesty, she grew hair all over the body. There was also an image of St. Paphnutius, another Egyptian saint, also naked, with a beard that was strategically long. 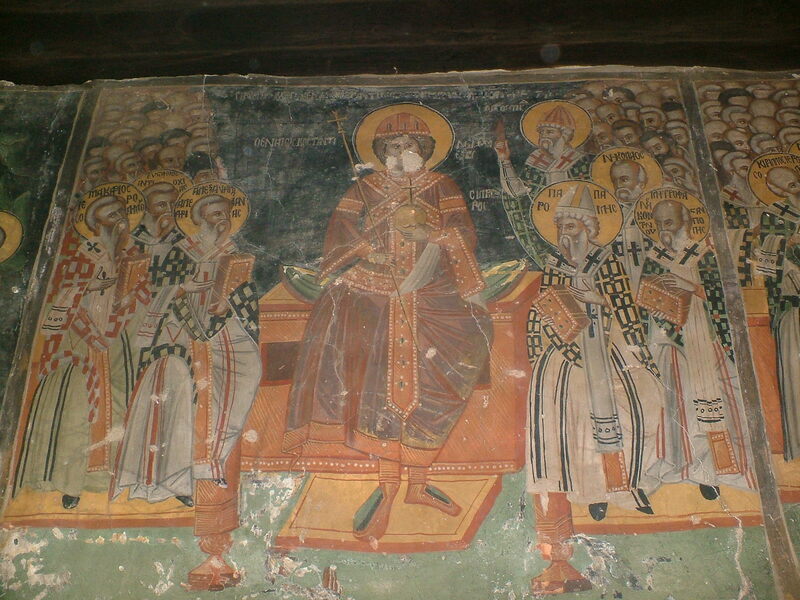 In these painted churches of Cyprus, I first came to an understanding of one reason why Byzantine and mediaeval churches are covered in frescoes and mosaics of the saints and angels. It is a reason I was just reading about today in the latest book by Edith M. Humphrey (one of many Anglicans turned Eastern Orthodox), Grand Entrance. In the first chapter of this book, she has been endeavouring to demonstrate to the reader that worship and prayer (the subject of the volume) are never truly done alone. 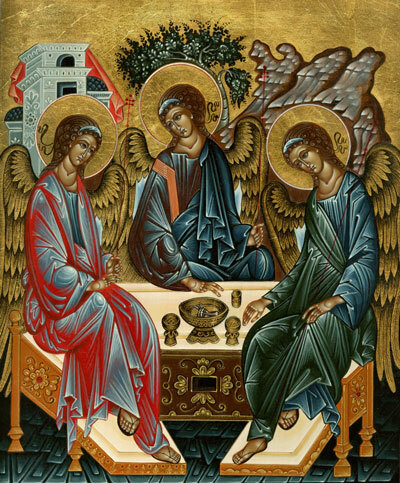 Part of our lack of isolation and individualism as we worship and pray comes from the presence both of the saints and angels themselves, those saints who are offering up our prayers in bowls before the Throne as in Revelation, those angels who are there to protect us and learn the mysteries of God with us. The frescoes and mosaics — or, in the case of St. Andrew’s Orthodox Community here in Edinburgh, the individual icons plastering every piece of available wall, each showing us a saint or angel — are visual reminders of what’s really going on as we gather to worship the Triune God. Even if at, say, Morning Prayer when only Fr. Raphael turns up to pray, he is never alone. 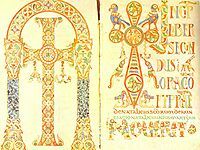 Not only is God, the One-in-Three, there with him (thus making the community at least two if not four but really just two because, as St. Gregory of Nyssa noted, there are not three gods but one God, although there will still be at least four hypostaseis, as beautifully illustrated by Fr. 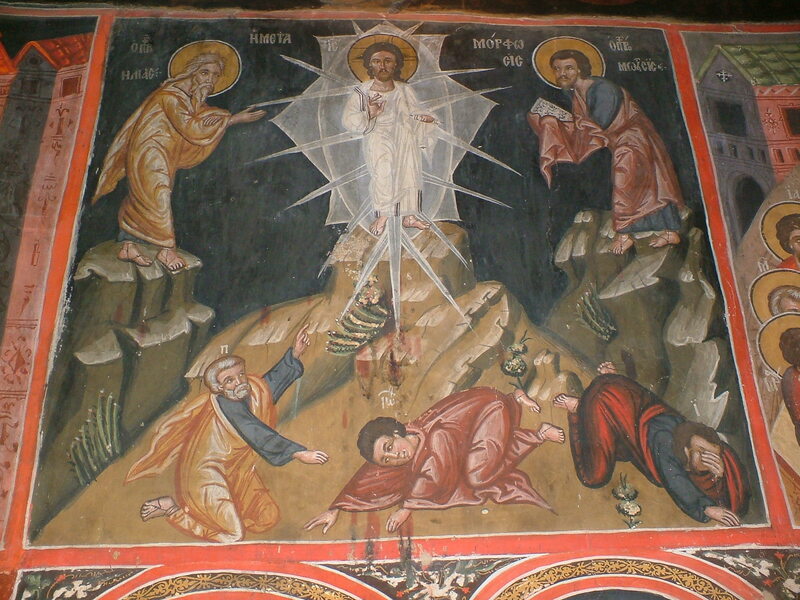 John Zizioulas in Being As Communion), the saints and angels assembled around God’s Throne are with him. We are never alone. And so, the next time you pray, ‘Our Father …’ remember that you join the invisible saints of God in our midst. When you pray, ‘Holy God, Holy Strong, Holy Immortal, have mercy upon us,’ alone, remember that you are not alone. You just cannot see your fellow worshippers.